Every day's a celebration, with our festive birthday party! 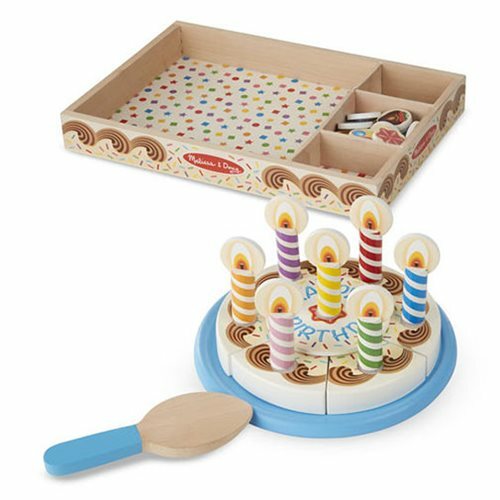 Thirty-four pieces in this wooden set include six ready-to-cut slices of cake, removable candles and toppings, sturdy serving tray and a spatula that store neatly in a wooden box. Cake makes slicing sounds when cut! Ages 3 and up.